In April 2015, Millennium Promise Japan (MPJ), I was able to celebrate the seventh anniversary establishment of Innovation. And the gift of guidance and cooperation of everyone, and thank you from the concentric one solely concerned parties as well. The MPJ, with the aim of achieving the Millennium Development Goals of the United Nations (MDGs), including the self-support of the people of Millennium Villages in the remote areas of sub-Saharan Africa, in the country held a research on the theme of poverty reduction and the MDGs We have been engaged in activities such as the Millennium Villages dispatched to the senior and youth. To build a primary school Ryamiyonga village Ruhira of Uganda, to provide scholarships for 17 people girl village Ruhira learn in high school with a dormitory, also the main activities in fiscal 2010, go to the Millennium Village in Mali , we have carried out, such as pre-visit for dairy business support. Ryamiyonga elementary school, was built by the donation of 5,000 elementary school is a member of the Sports Club Amitie Kansai NPO corporation. Ruhira the elementary school in the village was also impressed that the teachers and the PTA of course, they also bear the costs little by little. In addition, our girls of the village go to work for secondary education, children in grades excellent (PLE) will appear next to those elementary school national certification exam, we are surprised officials. In response to the incentives from business promotion activities such as international exchange, University of Tokyo, 12 students of the Board of MPJ youth who are active live Tokyo University has become a center, will visit Rwanda with three president-president MPJ, pro bono underneath. Major activities in Rwanda, was to open a student at the University of National and International Conference. And Central Bank Governors meeting, visit the Ministry of Foreign Affairs and the Office of the President, economic organizations, UNDP, and the Embassy of Japan, after a very positive experience, they will return to growth was greatly. Can also visit the Millennium Village (Mayange) and to interact with the villagers, while in Rwanda, seems to have deeply impressed as well as that visited the Genocide Memorial. Everyone, including the Special Advisor MPJ, with the cooperation of the people of Africa specialist, as new activities in the future, we are planning a “Training Program businessman” for leadership development. In addition, in the MPJ has been working on the theme of poverty reduction and other “human security”, amend the articles of incorporation so as to face the unprecedented crisis of the Great East Japan Earthquake, can engage in activities of national and international disaster relief We were especially. 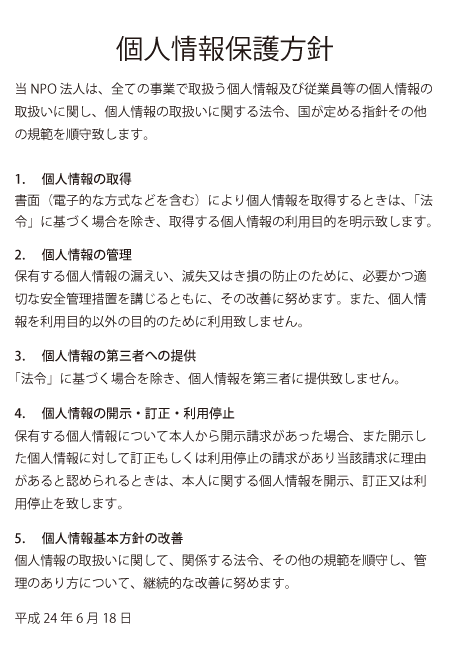 Party intends to participate in the Japan NGO networks and platforms JANIC, etc. → move, move, we will expand the scope of activities. 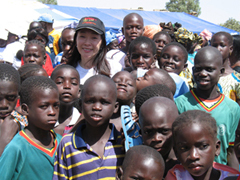 Do you send a warm message of “Pray For Japan” people also Millennium Village in Africa after the earthquake, we were also encouraged by not only the people in the affected areas. I’m hoping the belief that, “one world” and I want to continue to work with poor ability in the future.